Not as serious as the Internet. 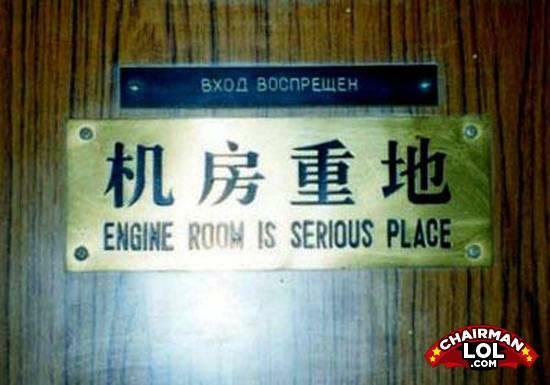 Engine room is serious... the comedy place is the restroom. Beth got an aunt farm for her birthday.